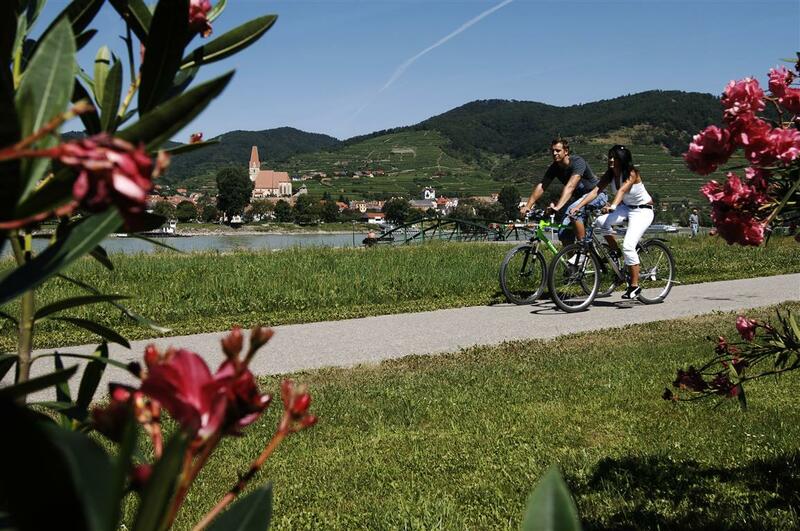 If you go by bike trough the Wachau valley you have enough time to enjoy the marvelous landscape. You should allow some extra time to visit the interesting sights along the bike lane or to go to a Heurigen. The bike lane runs next to our guesthouse. There is also a possibility to rent bikes at “Leihrad”, for € 5,-/ day. The next eventuality to rent a bike is about 100m away from our guesthouse. The Guesthouse is locatet directly on the bikeway. Donau Niederösterreich or on Wikipedia. Through the Wachau valley leads a well-organized path system, which is called the Welterbesteig. The routes are well-considered and well-tagged. The guesthouse Weidenauer is situated near-by the routes.It’s easy to go to Dürnstein by ferry, because the station of the ferry is next to the guesthouse. The refreshing water of the Danube is inviting on hot summer days. The local people like it to refresh themselves in the cool water – try it! 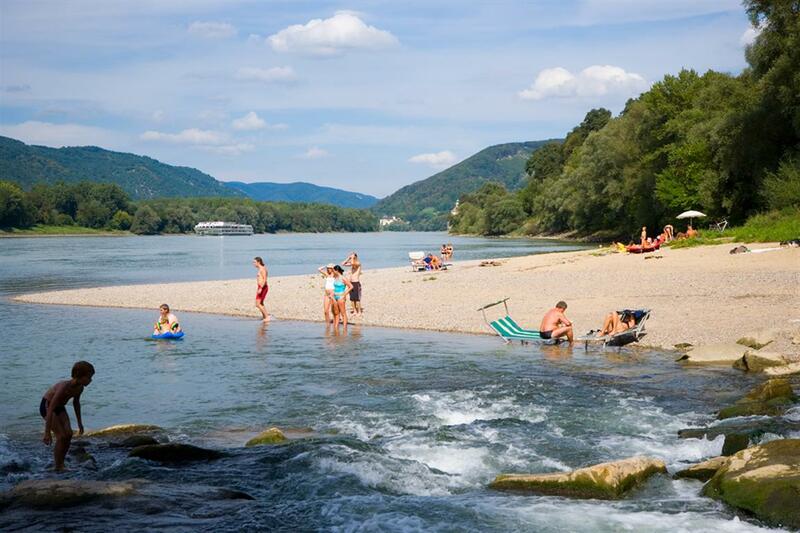 One of the most beautiful banks of the Wachau valley is just a 2 minutes’ walk away from our guesthouse.